(Newser) – Facebook and Google are tracking you. Your cell phone is tracking you. Your cell phone images are being uploaded without your knowledge. And that's not all, Veronique Greenwood writes in Discover: Many sites you visit are amassing information about you and selling it to advertisers. 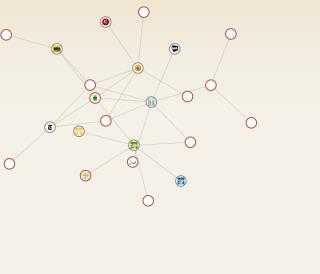 Inspired by an article in the Atlantic this week, Greenwood downloaded a Mozilla plug-in called Collusion that allowed her to track everyone who was tracking her. "The feeling of navel-gazing fascination ... morphed into a pretty deep frustration," she writes. Next on Newser: Could Your Manicure Give You Cancer? I have no problem with pc, I don't know how to block this on android - anyone knows how to do this on android? Thanks. Ghostery blocks trackers, plus you can also allow some like Disqus. There several weapons to avoid cookies - mine block cookies except for sites that I want and deletes all cookies (including blocking the super cookies with Better Privacy 1.68 on exiting Firefox). Plus AdBlock!